Kim Lenox ships pioneering products with a lasting influence by applying two basic principles: Openness leads to invention; and we can be ambitious and pragmatic without being dogmatic. She fosters collaborative environments that give designers, engineers, product owners, and clients the comfort to explore, so they can invent. Offering each person the space to do their best work, she gives them the confidence to come together to make something new—riffing, challenging, and pushing themselves, and each other, from a place of assurance. This open and very human approach has allowed Kim to create hardware, software, and digital products that change how consumers interact with the world. With the flexibility to adjust to uncertainty, she’s developed products that have made their mark on interaction design, like WebOS re-imagined for tablets and phones at Palm/HP, as well as concepts that continue to shape consumer products at Samsung. 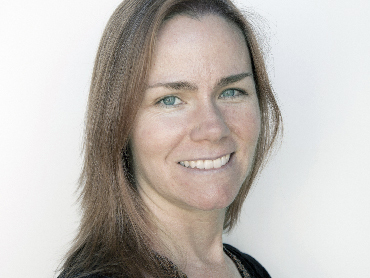 Kim is a Senior Design Manager at LinkedIn. She is known for her ability to build relationships with clients and cross-functional teams, and has also led the design of product experiences for clients as an independent consultant, and previously with LUNAR and Adaptive Path. Kim is also a leader in the design community, serving on the IxDA Board of Directors, speaking internationally, and serving as a juror for the D&AD Awards. She holds a BFA in photography.